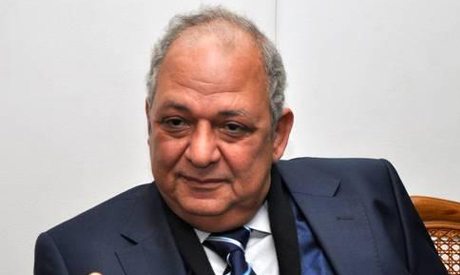 Professor Said Tawfik, secretary-general of Egypt's Supreme Council for Culture (SCC), resigned on Wednesday to protest the recent dismissal of three senior culture ministry officials by newly-appointed culture minister Alaa Abdel-Aziz. Tawfik told Ahram Online that his resignation was "final," stressing that he would not change his mind under the current circumstances, "in which culture is being humiliated and is under fierce attack by the Muslim Brotherhood." The Brotherhood is the group from which President Mohamed Morsi hails. His critics usually argue that the powerful Islamic group is the de facto ruling body of Egypt. "It's clear to us now that there's a plan to destroy Egyptian culture," Tawfik alleged. Tawfik's resignation comes one day after Abdel-Aziz dismissed Ines Abdel-Dayem, head of the Cairo Opera House, from her post. Abdel-Dayem was the third senior culture official to be sacked by the new minister – after Ahmed Mujahid, head of the Egyptian General Book Authority, and Salah El-Meligy, head of the Fine Arts Sector – since he took office three weeks ago. "The minister has sided with writers and MPs who have attacked the SCC and called for its suspension," said Tawfik. "He did not oppose calls to reduce the budgets of cultural institutions and cancel the state prizes that are awarded by the SCC." Members of the Shura Council, the upper house of Egypt's parliament (currently endowed with legislative powers), have demanded that the SCC budget be reduced, along with the value of state cultural and artistic prizes awarded by the state. Tawfik, a philosophy professor at Cairo University, presented his written resignation to the new culture minister earlier this week, but it had been rejected by the latter. He had later decided to remain at his post, but the latest sackings prompted him to change his mind once again. The SCC is considered one of the most important parts of Egypt's culture ministry, as it is responsible for setting ministry policies and organising ministry activities. The SCC is also responsible for granting state cultural prizes, which are traditionally announced each June. Why Resign Because Others Have Been Replaced ? Egyptians now days seem to say with big voice We are resignining and/or we go outside protesting. Professor Tawfik should stick to his post and do what he has to do. Mr Tawfik should understand that he is a permanent civil servant but minsters come and go. You may dislike some of them but you have to forge a relationship with them. Those sacked can appeal to courts. By resigning does not change a thing. About 13 Morsi advisors resigned almost in one go ! Did that help them ? People should stay in their posts and make good changes from within in favour of Egypt. Egypt has changed and taking a different direction. We should be able to be a flexible enough to cope with it. M.P.s and Shura Council complained about certain things in this area and that is why change became a solution. Prof tawfik stay in your post and you can contribute to your department in your capacity than speaking about it in Cairo's caffee streets.